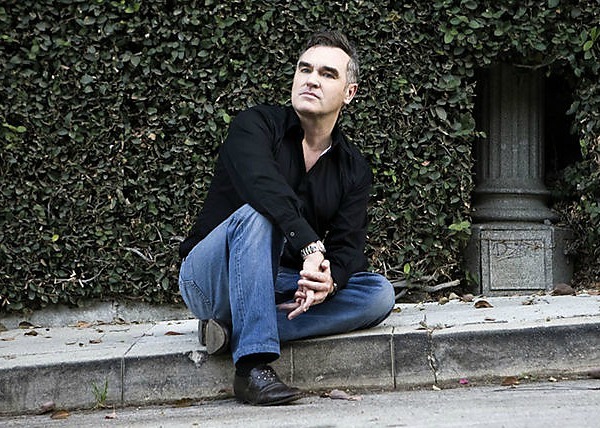 After performing a handful of stateside dates late last fall and earlier this spring, Morrissey tonight announce his most extensive U.S. tour in years, a 33-date, coast-to-coast trek that will keep him on the road from early October through early December — and includes a Los Angeles arena date with Iggy and the Stooges. The trek opens Oct. 5 in Boston and includes a date at Radio City Music Hall in New York City before hitting lesser-played midwestern locales such as Clear Lake, Iowa, on the way to the West Coast, a run across the south and then back up along the East Coast, ending Dec. 8 in Atlantic City, New Jersey (see full dates below, via True To You). Moz’s usual opener, Kristeen Young, will be along for the entire tour, and the Nov. 24 concert at Los Angeles’ Staples Center, also will feature the Stooges lending support. Will my ticket from the canceled show in Atlanta get me into Cobb Energy Center? Seriously. I still have that stub somewhere. Anyone know the presale code for Atlanta yet? Woohoo! He’s coming to south Texas! Finally, I’ll get to see him after all these years! Seriously 30 us dates and not one in Canada!?! He refuses to play Canada because of the clubbing of baby seals there. he refuses to ever play Canada again…but TWO of the shows are on the US/Canada border. Yea! How do I get the RIVAL pre-sale password?